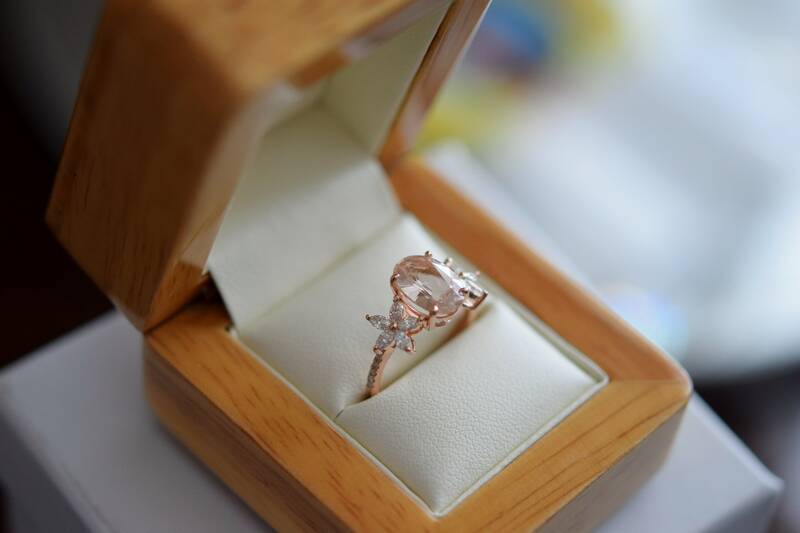 Fiji engagement ring by Eidelprecious. 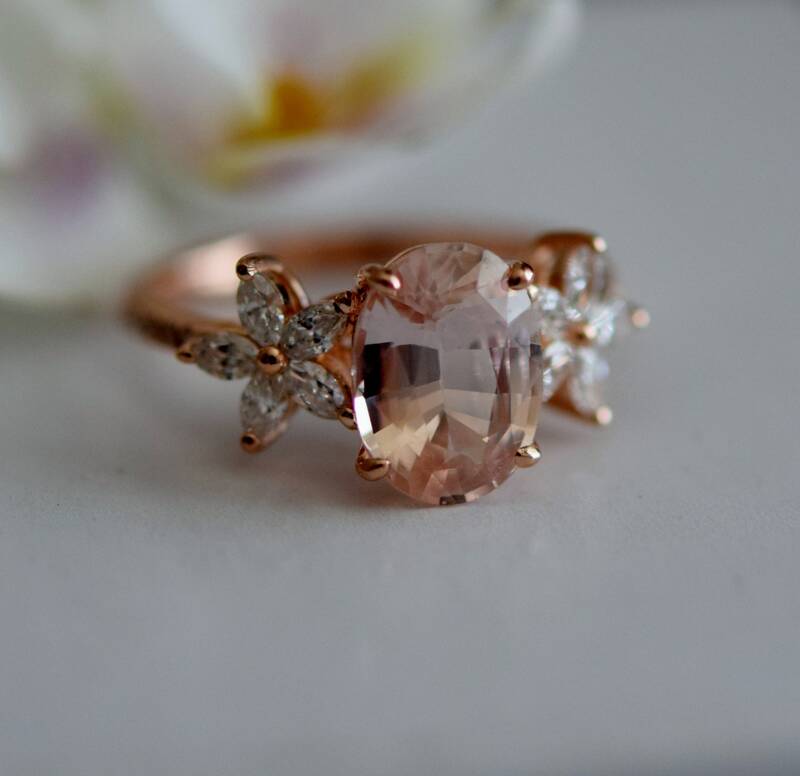 Rose gold engagement ring by Eidelprecious. 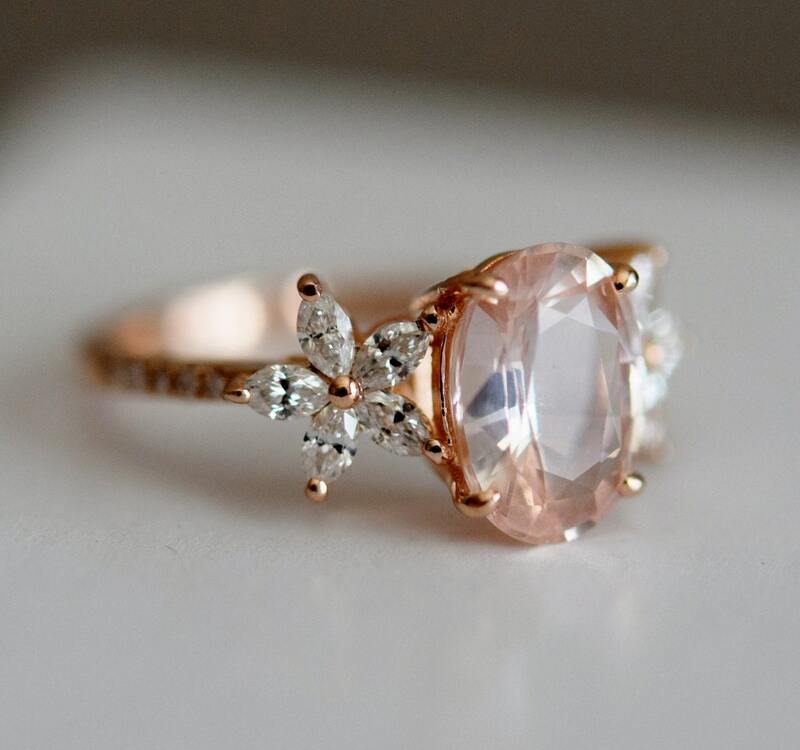 Sapphire engagement ring. This is out latest Fiji design, featuring a sapphire solitaire, flanked by 2 diamond flowers on a thin diamond band. 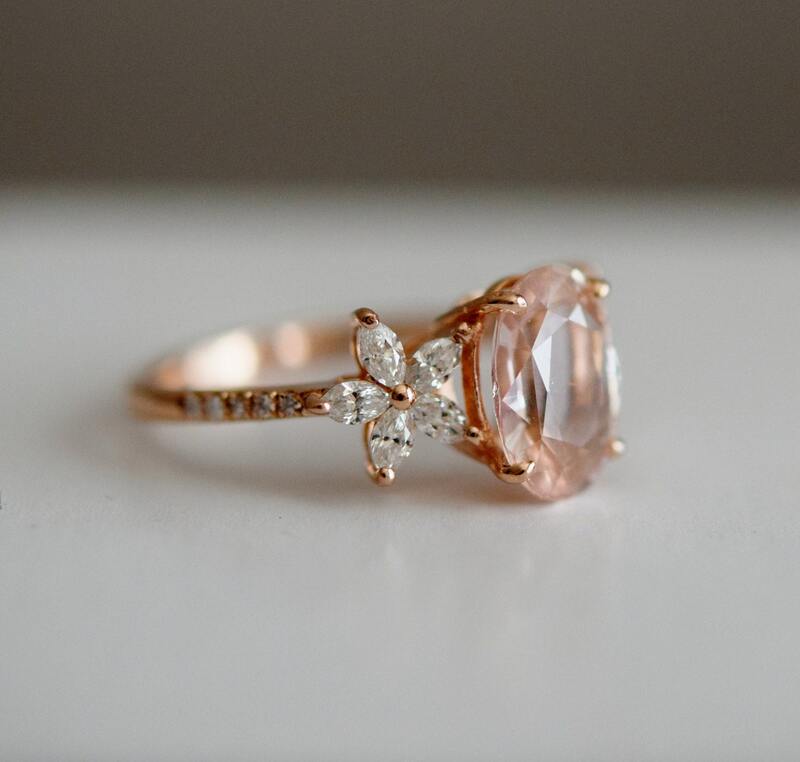 Very unique and feminine! 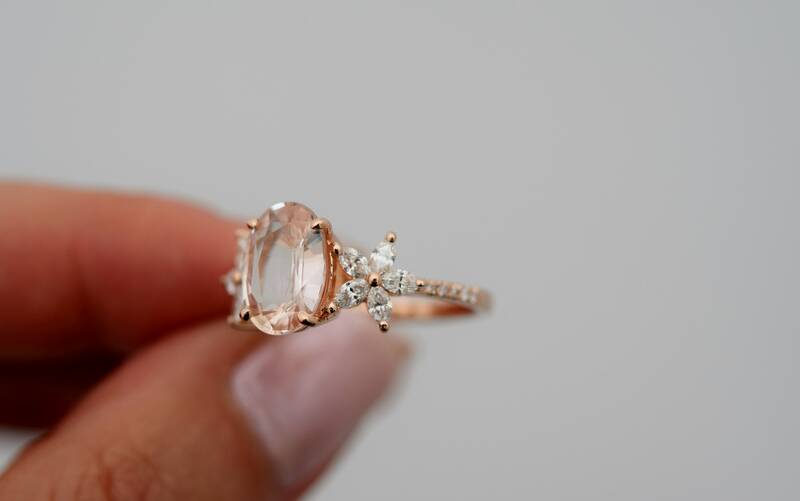 One of a kind ring. 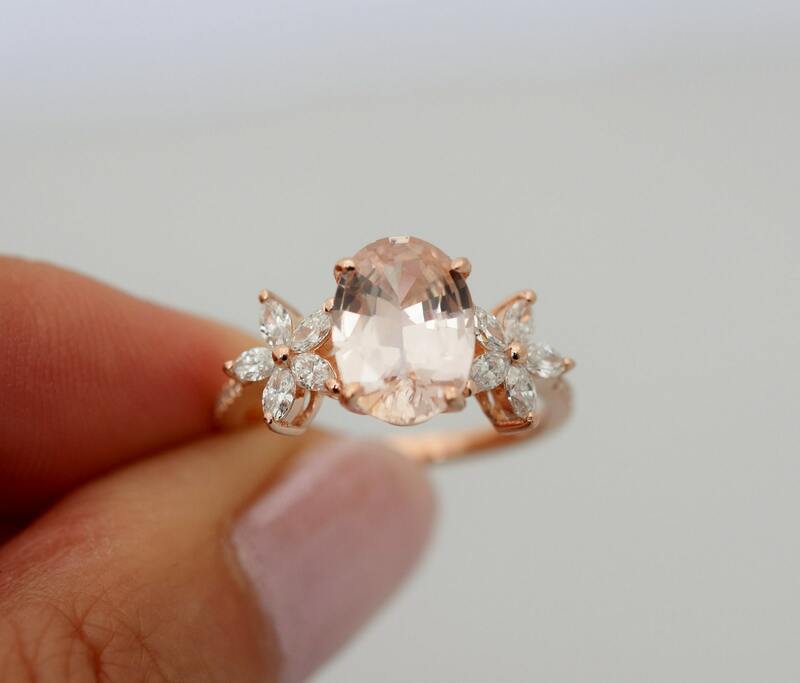 This ring features a gorgeous 2.5ct sapphire. 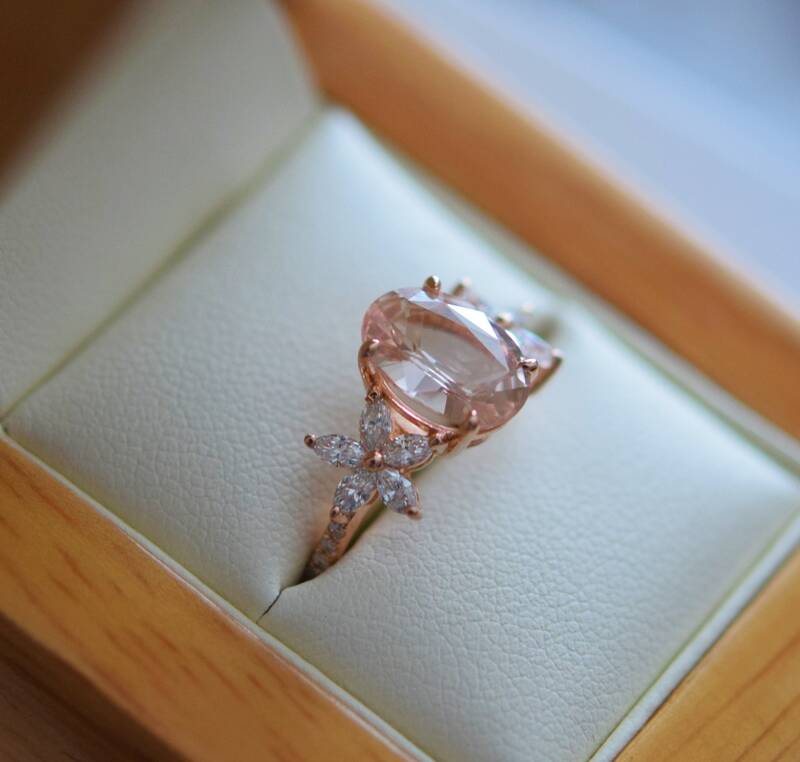 The stone is very beautiful. It is a natural non-treated stone, very rare. The color is gorgeous peach champagne. Very pretty! 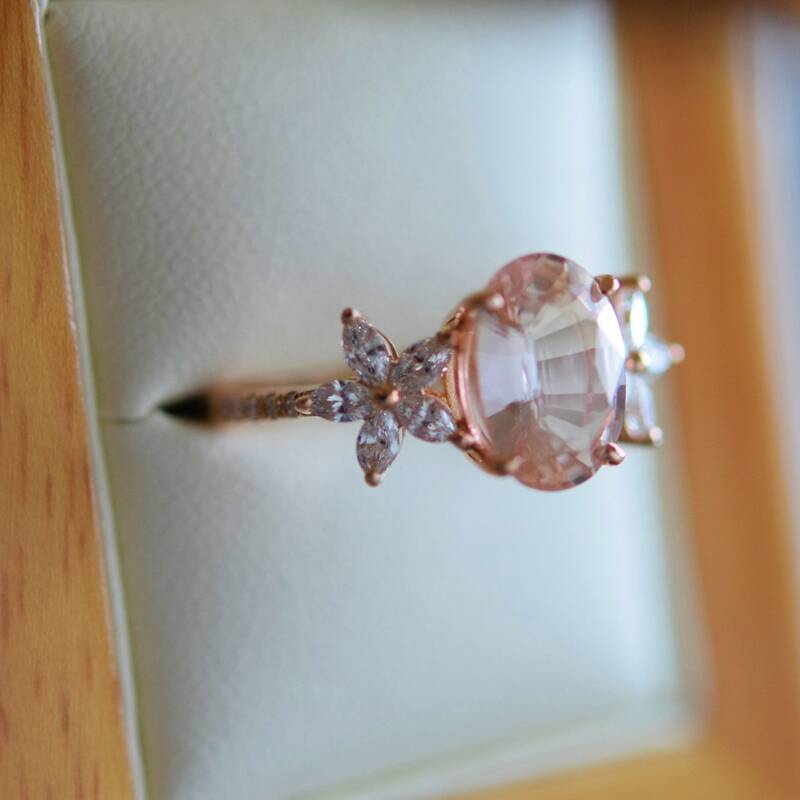 This beauty is set in a 14k rose gold diamond setting. TDW approx. 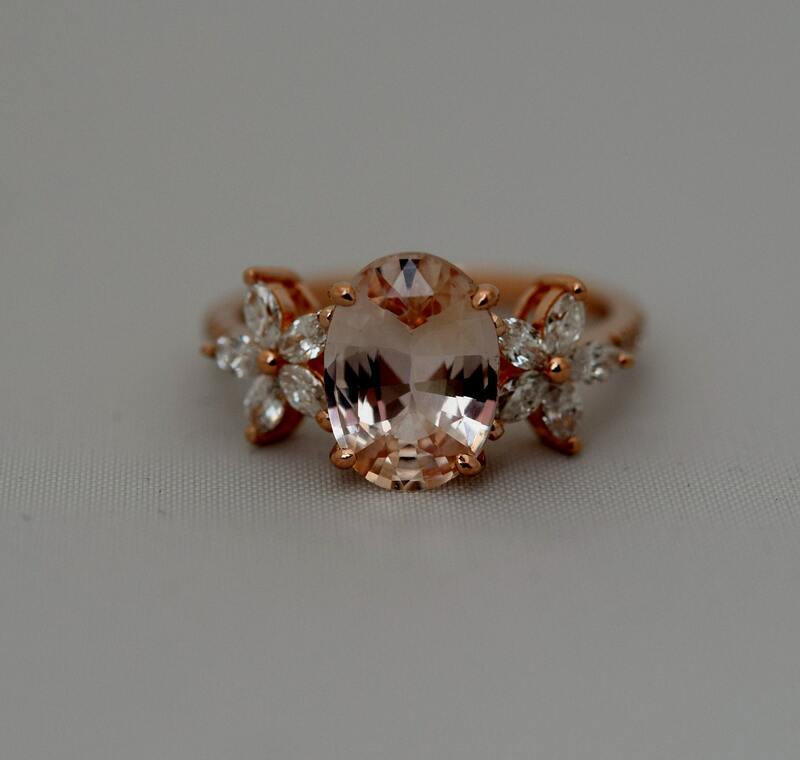 0.5ct.